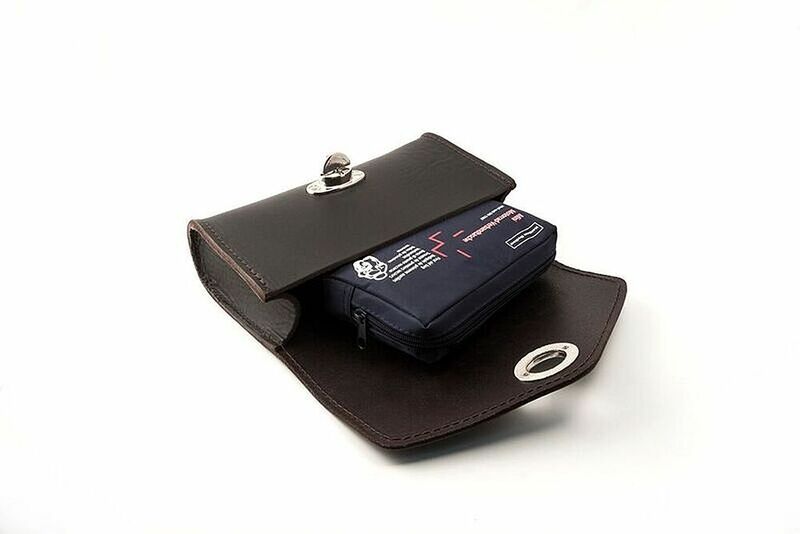 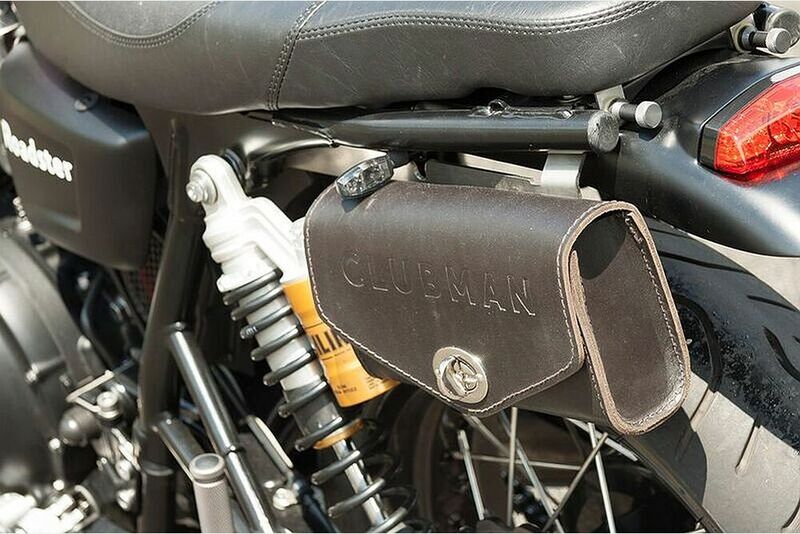 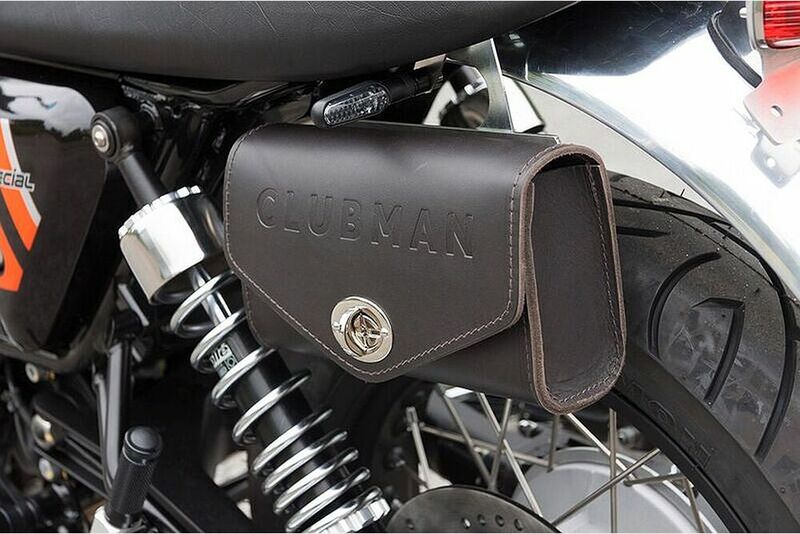 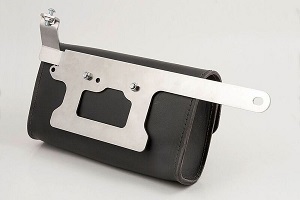 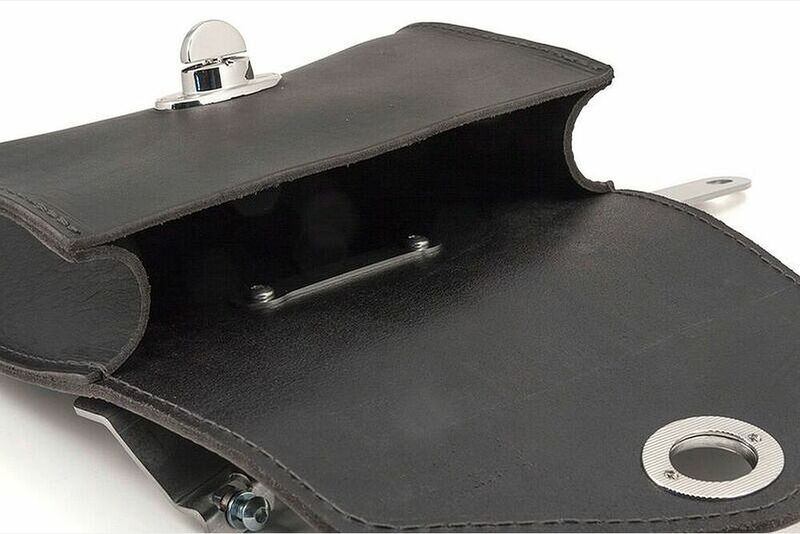 Clubman Leather Toolbox for Motorcycles. 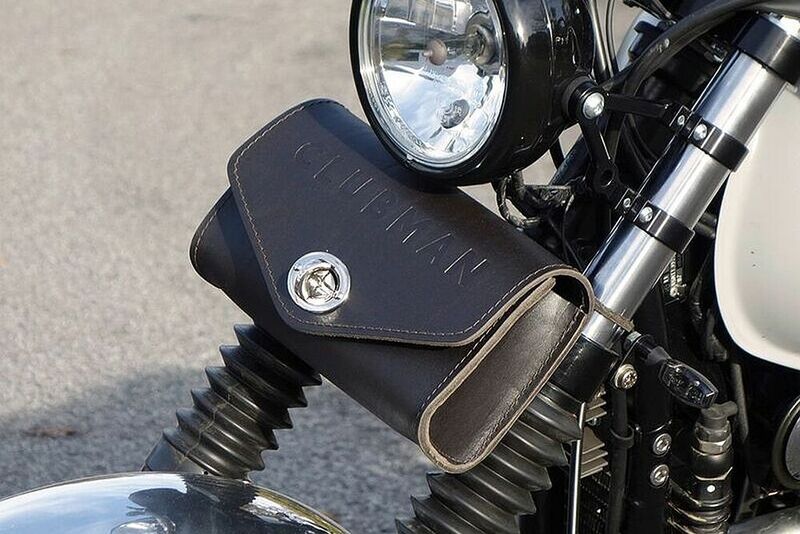 The 4 mm thick full grain leather tool bag fits perfectly to many retro classics. 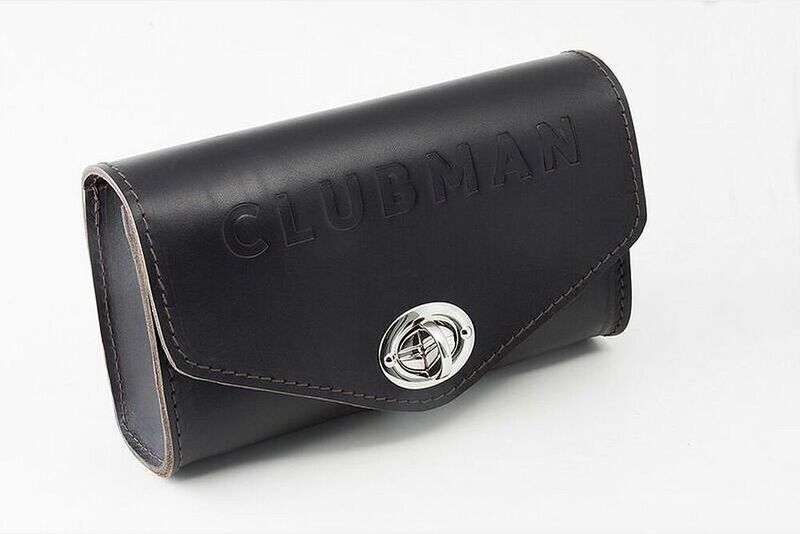 It is provided with a stable closure. 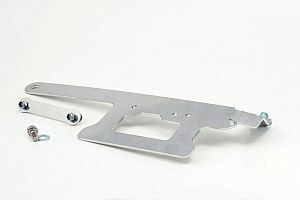 Specific mounting kits for various models for an Addprice are available. 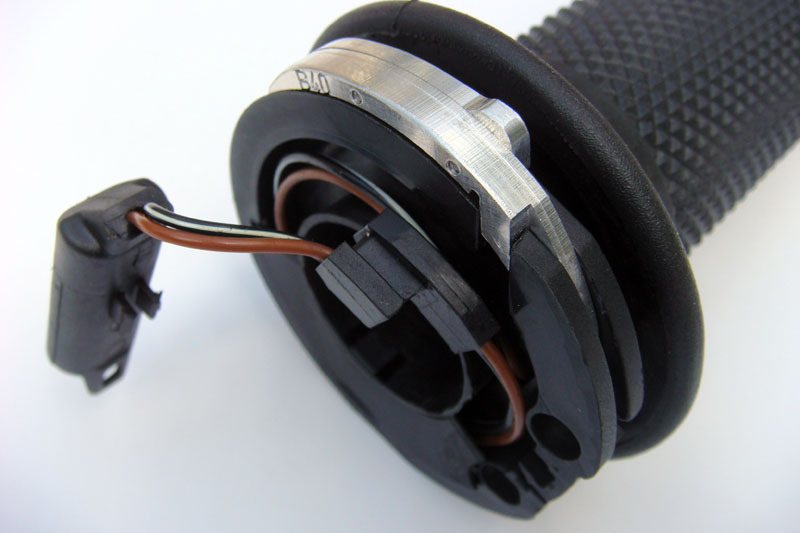 Alternatively, the supplied straps are used to fasten.